Corporate Social responsibility took force in recent years. The concept, although it has various definitions, is understood always as good practices of the organizations to their environment, ensuring continuity in the actions. To achieve this, there are many points that should follow and implement. The need for a strategy with the aim of achieving a real integration of the concept of CSR, as a way of "doing business", is becoming increasingly necessary. The task today day is not easy, because it is a rather modern concept that is taking shape little by little, and that is being positioned through the many efforts of agencies, companies, institutions, which constantly refer to it. We know that CSR is a mode that interacts in the community, workers and the environment, among other aspects, and that through the mission and vision of the companies, you can see reflected the principles of strategic planning of the company in this field. It is for this reason that arises to the need to design strategies of CSR for each company, whether large, medium or small, which must be targeted. 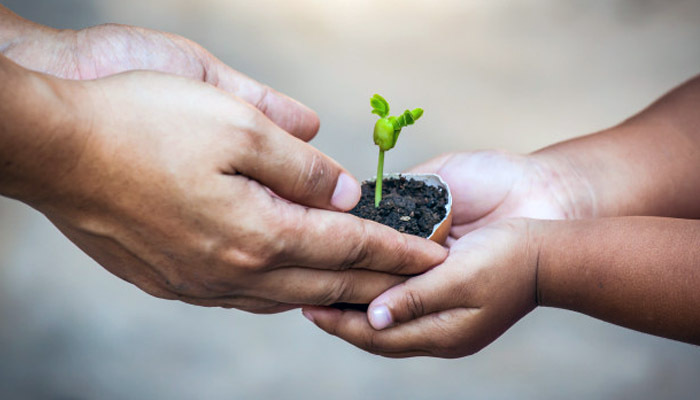 While it is not an easy task when you have a very wide spectrum of topics included under the umbrella of the social responsibility of the company, there are various strategies that guide the best way to carry out the CSR practices. But more importantly, understand that the CSR is something that must be born in the soul of the companies, which is an impulse that is generated by the conviction of the same do something for the development of the society in general, and that should not arise only as a concern, but also as a way of doing responsible business. In Capilla del Señor S. A., we have been developing since our inception work to install the concept and practice of Social responsibility, as a new model of management. We invest time and effort in self-evaluation, diagnose and plan our performance in the field of Social responsibility. We are convinced that every effort is made to do so will result in enormous benefits for our company and the society that surrounds us. 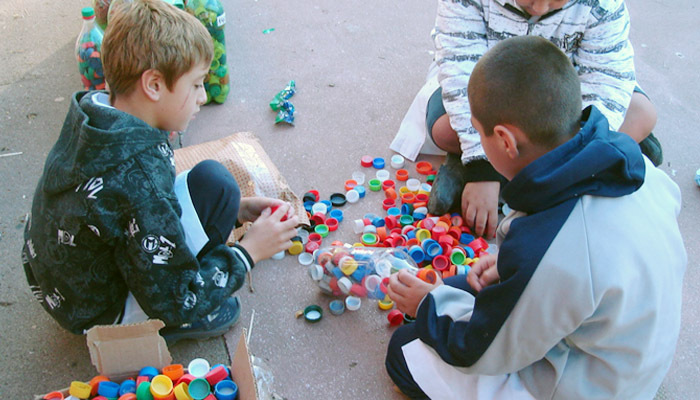 Our first actions of CSR that were carried out on CDS were related to the care of the environment. During the 2007-2008 was planting barriers of wind on the edge of the grounds of the Industrial plant, thus begins the program of CSR that we would then call together for the environment. This program guarantees the commitment assumed by the company for sustained action in time and in relation to the care of the environment. During the period 2009-2010 begins the second action of the program that promotes the recovery of water in the plant processes. The strategy is to reuse the condensed water that emerges from the pasteurizer, recovering at a temperature of 85% grades, for returning to the boiler, thereby saving products treatment, gas and electricity, it is not necessary to heat water from its temperature in the network. This process also allows reducing the extraction of water from natural resources. On the other hand, a second strategy applied to this action is to recover the water used for the cooling of the milk and the exchange of temperature her reuse in the boiler and washing of the floors of the plant, reducing the cost of gas and electricity, but in this case, greater extraction of natural resources. The third action in the program which gets underway in the same period involves the recycling of all ruling out on the floor: cardboard, plastic, stainless steel, etc. Partners of the company, through an established procedure, recover everything what is discarded, so collect and sold, to be reused. Also in this context, the action of reuse those printed sheets with one side blank in order to reduce paper consumption is carried out. In conjunction with the Ministry of environment in the province of Córdoba were given plants for barriers of winds in the dairy farms that are in relation to our company and rural schools in the area of these dairy farms. (There are children of dairy farmers). Also, part of the program "Together for the environment" encompassed a strong communication campaign of awareness about caring for the environment. Through different graphic pieces delivered to its points of sale. It gave away cloth bags with the logo and the slogan of the program encouraging the use of the stock market to reduce the consumption of the plastic bag that is not biodegradable and affects the middle atmosphere. Surrendered decals with messages of awareness about caring for the environment, which is also distributed in each proposal delivered to our customers. A message of awareness of saving paper that incites to analyze the need to print the mail is designed on the staff of the institutional mails. Designed mini personal cards, i.e., a format were used smaller with the logo of the together program for the environment, evoking an message of paper-saving. Chapel of the Lord not only carries out programs of care for environment. Solidarity aid to needy of the community sectors is part of the objectives of CSR. 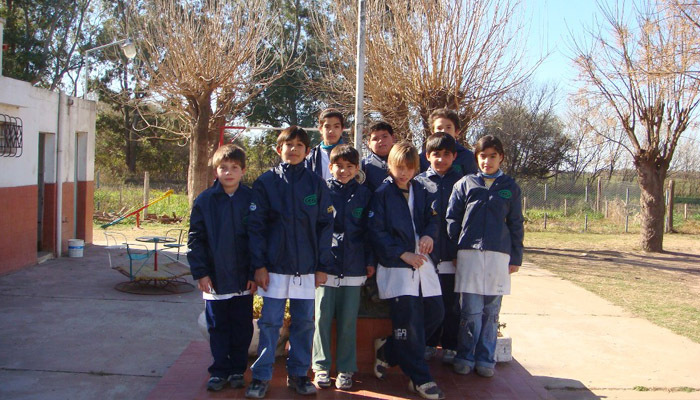 All the funds raised of the recycling program "Together for the environment", are intended to make solidarity aid in rural schools that are located in the vicinity of the dairy farms that provide material premium to Chapel of the Vale S.A. Lord noted that the children of dairy farmers are part of the educational provision of such schools. In December of 2010 we gave start to the program "Hands to work" where we invite you to enter to this section for more information. Capilla del Señor S. A. we acknowledge to the internet as one of the most strong means in terms of communication and expansion of messages. That's why that generated spaces featured on the website of the company so that CDS can communicate CSR actions. 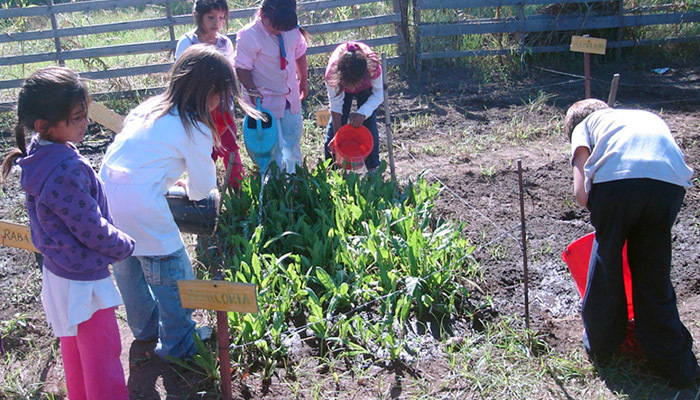 We have a space called "School window", which was created with the aim that rural schools (which give solidarity support), to reflect all the work involved in relation to the care of the environment. Somehow, CDS is a channel to enable schools to project and show their actions to the society. Account with a space to communicate the program "Together for the environment", there is recorded information generated with photos, information of the volunteer groups involved in jointly, the recycled volume, destination of the funds, etc. You can also see the program "Hands to work" where you can keep track of it, in detail. In others of the possibilities of income in "Donations" you can see the contributions made by suppliers, customers, public, etc. CDS undertakes to keep all the volunteers who participate in the program on the destination and placement of funds obtained by actions of the programme. Any volunteer may have access to this information by contacting the group responsible for this program. The money raised is used to cover the material needs of the rural schools that are close to an Inn that it provides the raw material CDS. These schools are attended mostly families who work in these dairy establishments.